NOTE: YOU CAN CHECKOUT WITH A CREDIT OR DEBIT CARD. THE TRANSACTION IS HANDLED THROUGH PAYPAL, BUT YOU DON’T HAVE TO HAVE AN ACCOUNT. WHEN YOU GET TO THE FINAL CHECKOUT SCREEN, YOU CAN USE A PAYPAL ACCOUNT OR CHECKOUT AS A GUEST WITH A CREDIT OR DEBIT CARD. If you need book pricing or copying permission for group-study copies, or if you have any difficulties or need a different payment option, please contact Susanne Alexander: Susanne@marriagetransformation.com or 423-599-0153. 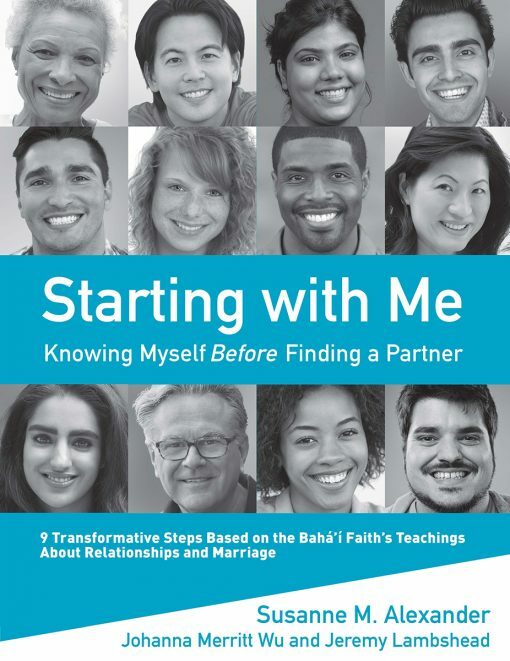 Starting with Me: Knowing Myself Before Finding a Partner is also available globally through Baha’i Distribution Services, Baha’i bookstores, and many commercial websites such as Amazon, Chapters, and Barnes and Noble. Please find the book in the location that works best for you. NOTE: Checkout is handled through the PayPal System. When you get to the Final Checkout Screen, you can use a PayPal account or pay as a guest with a credit or debit card. 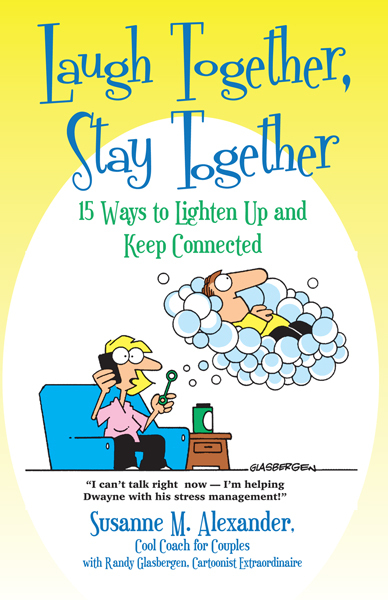 If you need help, please contact Susanne Alexander: Susanne@marriagetransformation.com or 423-599-0153. Whatever your age or life circumstances, Starting with Me helps you prepare yourself for marriage and lay a solid foundation for your future. It offers uncommon wisdom from the Bahá’í teachings, time-tested guidance from relationship and character specialists, insights from everyday people on this journey, and transformative questions and exercises. 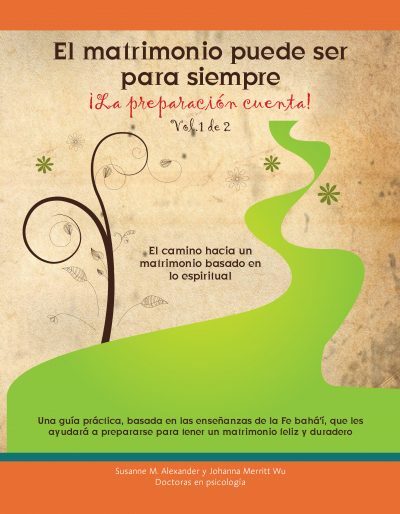 By the time you’re in a relationship or marriage, it’s too late to prepare yourself! 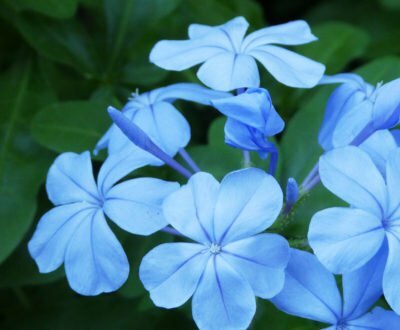 It’s time to stop “trial and error” and hoping for good luck. • Form friendships that may later become a great match! Susanne M. Alexander is a Relationship and Marriage Educator and Coach, author, and character specialist, as well as the President of Marriage Transformation®. She is married and is a parent and stepparent. Johanna Merritt Wu, PhD, is an organizational psychologist for corporations, non-profits, and start-ups. She is married, a parent, a youth group leader, and co-author of Marriage Can Be Forever—Preparation Counts! with Susanne. Jeremy Lambshead is a writer, editor, and teacher who works with youth and adults to release potential in individuals, groups, and communities. To enhance this process, he loves to make music and poems—with the intent to inspire. Welcome to This Exciting Journey!